Nestled in this intimate enclave of distinctive style living is this fabulous FULLY FURNISHED, PROFESSIONALLY DECORATED, 4 BEDROOM, TURN KEY 2 storey townhome. 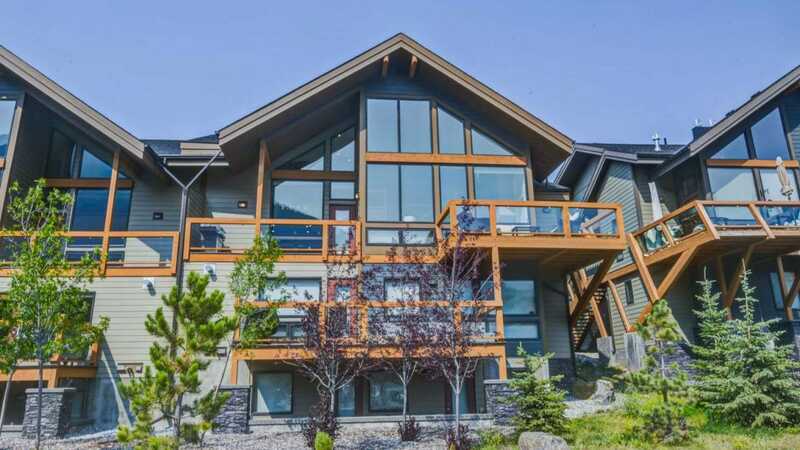 Located among the serene picturesque Three Sisters Mountain Village, this beautiful green built residence is built with family living in mind! Soaring sky high vaulted ceilings and towering windows meet a stylish palette of modern hues and top of the line finishings! Warm hardwood floors span the entire living areas. The GREAT ROOM with gas lounge like fire place is perfect apres ski and the GOURMET KITCHEN offers up to the ceiling cabinets, luxurious granite counters, HUGE ISLAND with seating for 5 with decorative PENDANT LIGHTING and top of the line appliances! Two large decks on this level lend themselves fresh air relaxation and bbq’s galore! YES..THE BBQ is INCLUDED! The MASTER SUITE is large & opulent with huge WALK IN CLOSET & lavish 4 PCE spa inspired ENSUITE & DECK! Laundry Room is conveniently adjacent.